Subtle acid-wash process creates a swirling coloration! There are a lot of ways to skin a Minotaur. Yes, there are a host of godly weapons that could do the trick -- a lot of swords, shields, and very sharp tiaras that could easily remove the incredibly thick hide of a bloodthirsty bull-person. Doing a mental inventory of one's armory before attempting the task can be emotionally strenuous. 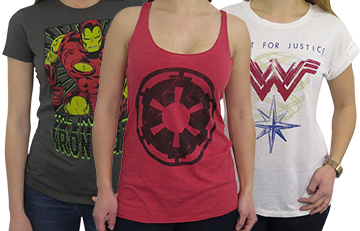 Do yourself a favor -- wear the Wonder Woman Armory High Low Women's T-Shirt and you'll know EXACTLY what's encased in your private sub-basement under the museum. 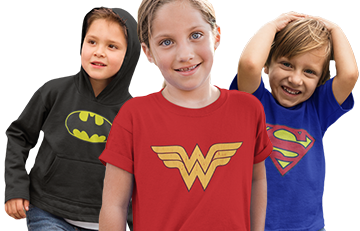 Made from a soft blend of 52% cotton and 48% polyester, this Wonder Woman t-shirt features white and subtle illustrations of Diana's go-to weapons, including swords, shields, helms, and a very familiar magic lasso. 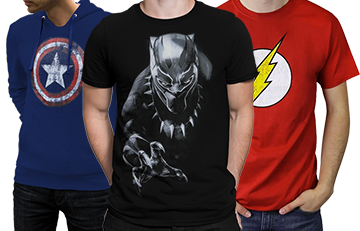 Yep, superficial layers of material are carefully removed from arbitrarily treated areas of the t-shirt -- this results in a cloudy, swirling coloration. Yes, this exquisite t-shirt hangs lower in the back. Because it's stylish. Because you're stylish.